Are you aware that printing hang tags can be a great way to feature a business or product? You can incorporate the following; business logo, product details, tagline, contact information, prices, social media, even a short story about your business or brand. 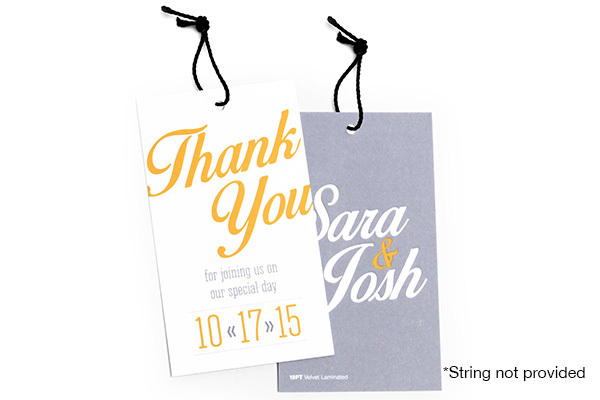 Our velvet hang tags provide a creamy, velvety texture, unlike any other card stock. Also knows as suede hang tags, they’re great for wedding favors, clothing, jewelry and so much more. Choose from a large selection of options to meet your needs.